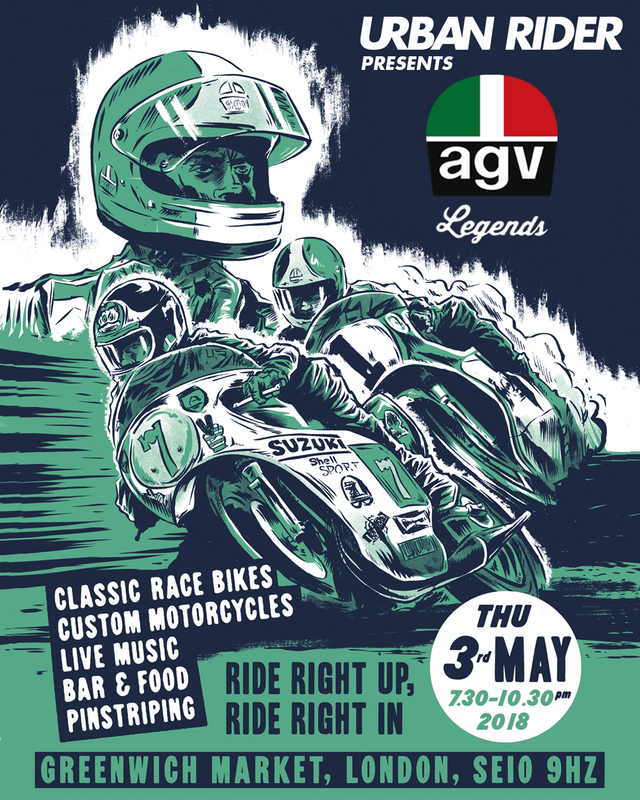 Our friends and all-round top chaps over at Urban Rider are holding a shindig on Thursday May 3rd to celebrate the launch of a new AGV Legends helmet range. The new AGV Legends collection, which encompasses the X3000 and X70 models, celebrates the life and achievments of the likes of Barry Sheene, Giacamo Agostini and Renzo Pasolini, by fusing retro styling with modern safety standards and manufacturing methods. The updated X3000 keeps the iconic shape of Agostini’s original, which was one of the first full-face motorcycle helmets to go into production and went on to win numerous races, and comes in numerous classic colourways. 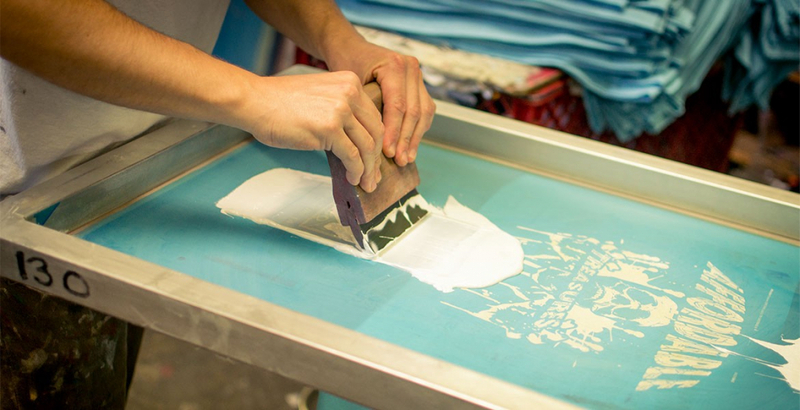 While the AGV X70, which was first developed in 1954, remains the template for fashionable open-face helmets today and has been reimagined in the AGV Legends range using some exquisite materials and new crafting methods to make sure it’s safer and more comfortable than ever. 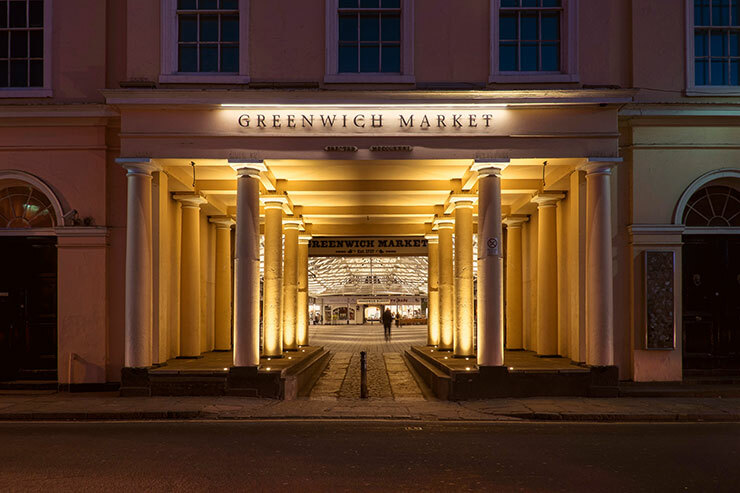 The party, which kicks off at 7.30pm and ends at 10.30pm, will take place in Greenwich Market, London, SE10 9HZ, and fans of classic race bikes, custom motorcycles, live music and great food are advised to rock up and ride in on whatever they have to hand. 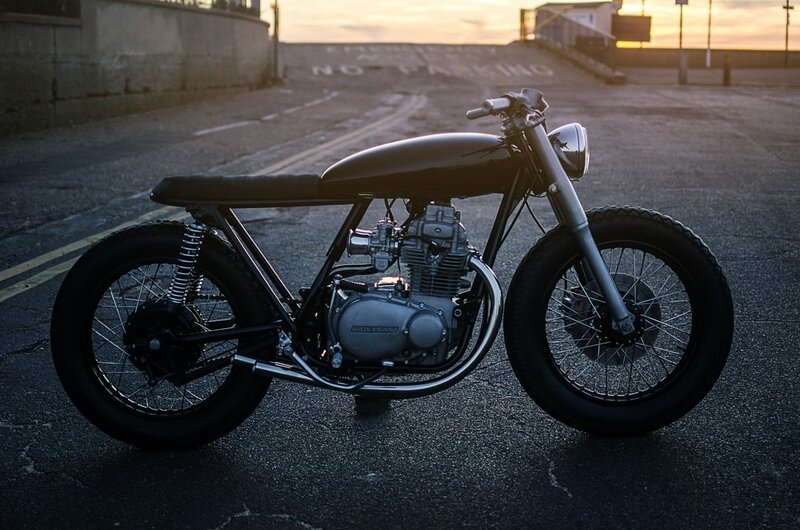 Urban Rider’s Will Starritt says that custom bikes from Death Machines of London, Auto Fabrica and Stockwell Design will be on display alongside an original Barry Sheene Suzuki and a selection of other classic race bikes. There will also be a free helmet pin-striping service, as well as artisan food, drinks and live music to keep everyone entertained. Visit urbanrider.co.uk/legends for more information and don’t forget to RSVP to confirm your attendance. We’ll be there and it looks set to be a fantastic night, so please come and say ‘hi’.